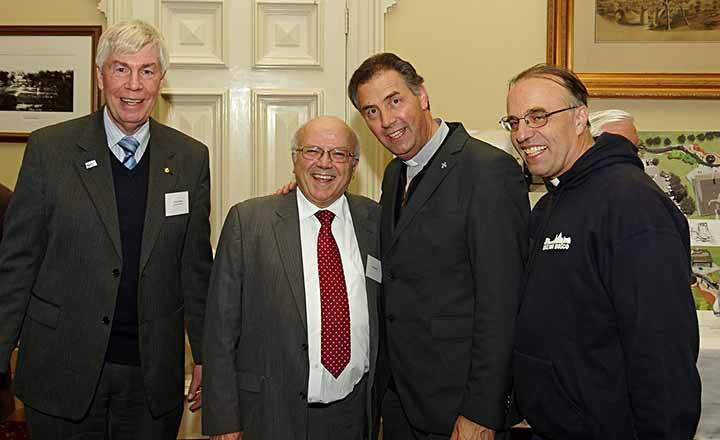 Melbourne, Australia, 1 November 2017 -- For the Salesian Co-operators who meet monthly at the Salesian residence at Chadstone in Melbourne, All Saints Day had a special added significance. On that evening, the Unit met for its monthly formation and also to have a probationary member become a fully-fledged Cooperator. 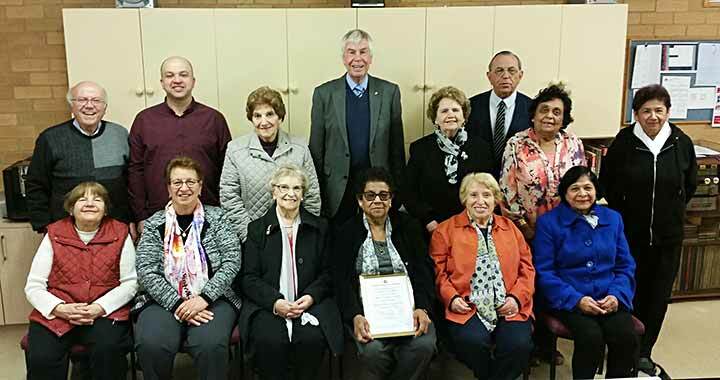 After two years of faithfully joining in with the other members of the group in prayer and Salesian works, Marie D’rosario made the Co-operator Promise in the presence of the Provincial, Fr. Greg Chambers and Unit Salesian Delegate, Fr. Frank Bertagnolli. We began the formation evening with Mass in the Community Chapel, which included the Promise made by Marie and the renewal of the Promise made by the rest of the group. After this, Marie was presented with a beautiful certificate featuring a watermark of the image of Mamma Margaret, our first Co-operator, to celebrate the occasion. After Mass, we all gathered for our monthly meeting during which Angelo thanked Fr. Greg for his ongoing support and encouragement of our Co-operator Unit throughout his time as Provincial and wished him all the very best for the future. The photo (below) taken on the evening will be a wonderful memento of Fr. Provincial’s visit and of the special celebration to welcome our new Co-operator.